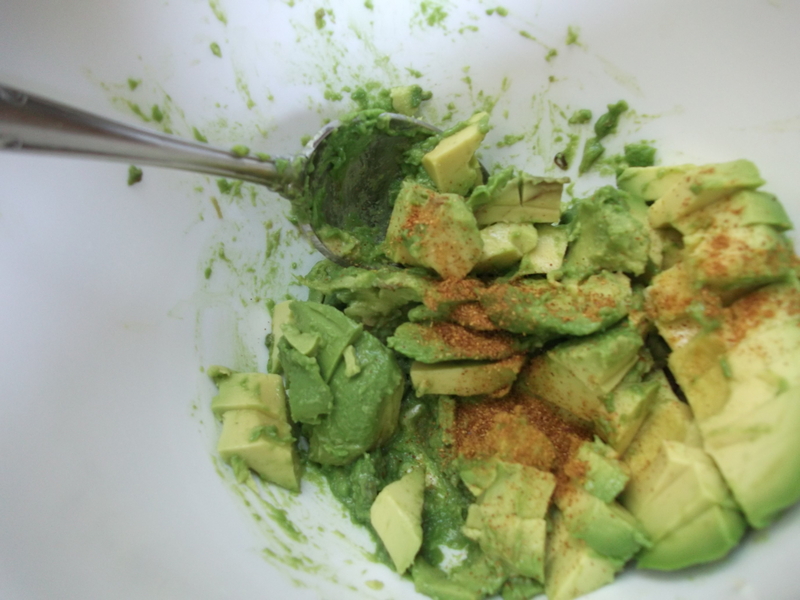 Peel the avocados and scoop out the flesh with a spoon (I have a great tip here for peeling and pitting avocados). 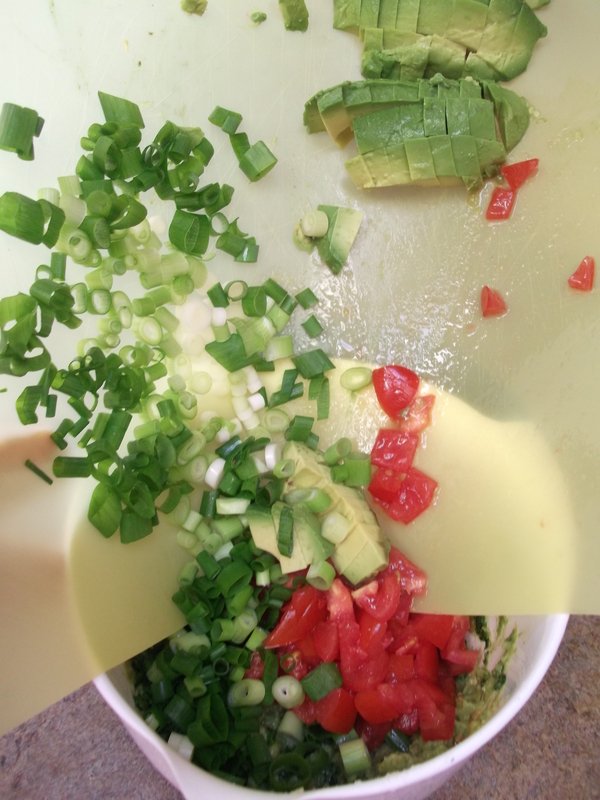 Dice the avocado and place one diced avocado in a medium bowl, reserving the other one. 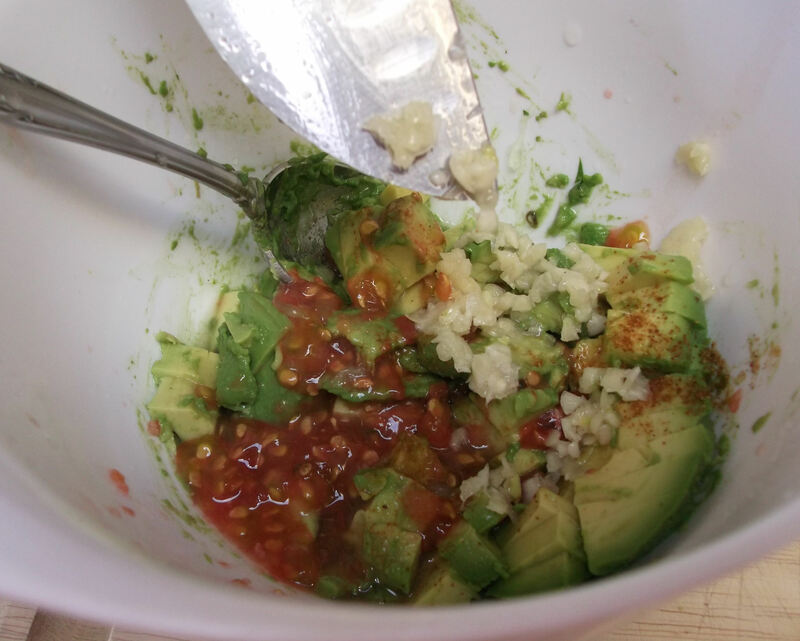 Add the cayenne, lime juice, minced garlic, salt and Worcestershire to the bowl. Mash with a potato masher until very smooth and creamy. Stir in sour cream or Greek yogurt, if using, and blend well. 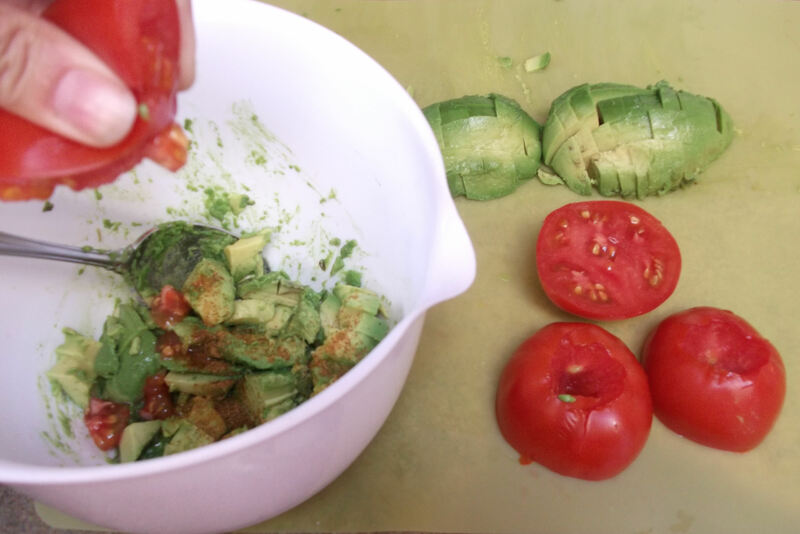 Chop the remaining ingredients and gently fold into the mixture along with the reserved avocado; add salt and other seasonings to taste. The photos and details below depict the order in which I made this batch, but it absolutely does not matter in what order you add the ingredients. My basic premise is that I add the “flavor” components first and them blend them really well to distribute all the flavor. Then I fold in the remaining ingredients, which still add some flavor but are mostly for texture, at the end. 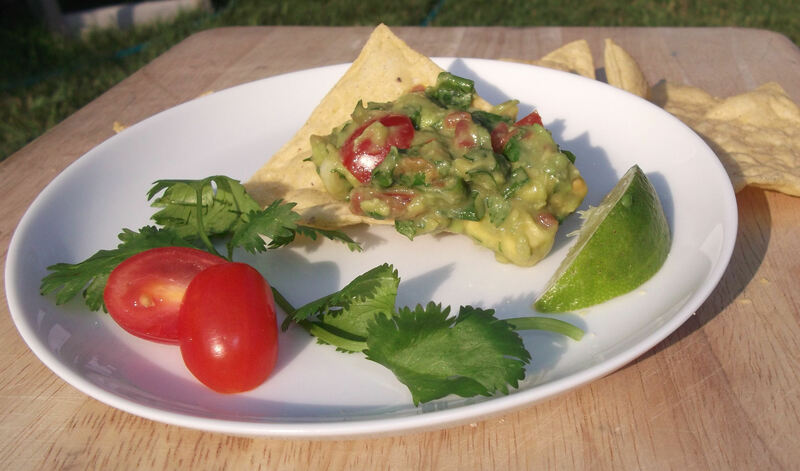 NOTE: The jalapeno didn’t make it to the photo shoot above. Silly pepper. Let’s get started! 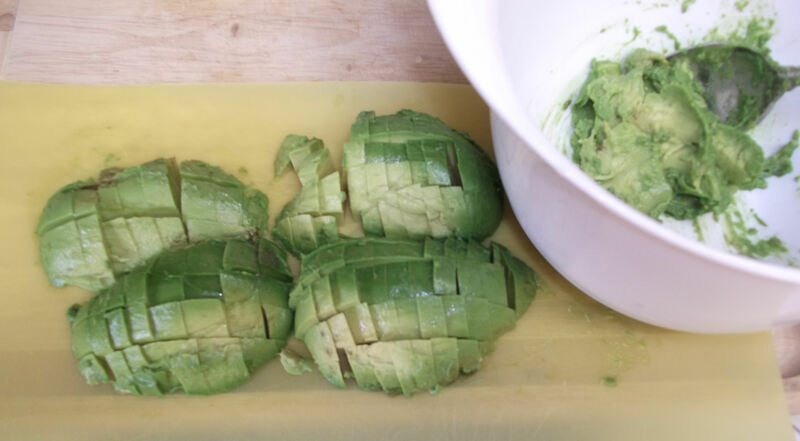 Peel and pit the avocados, then medium dice them. 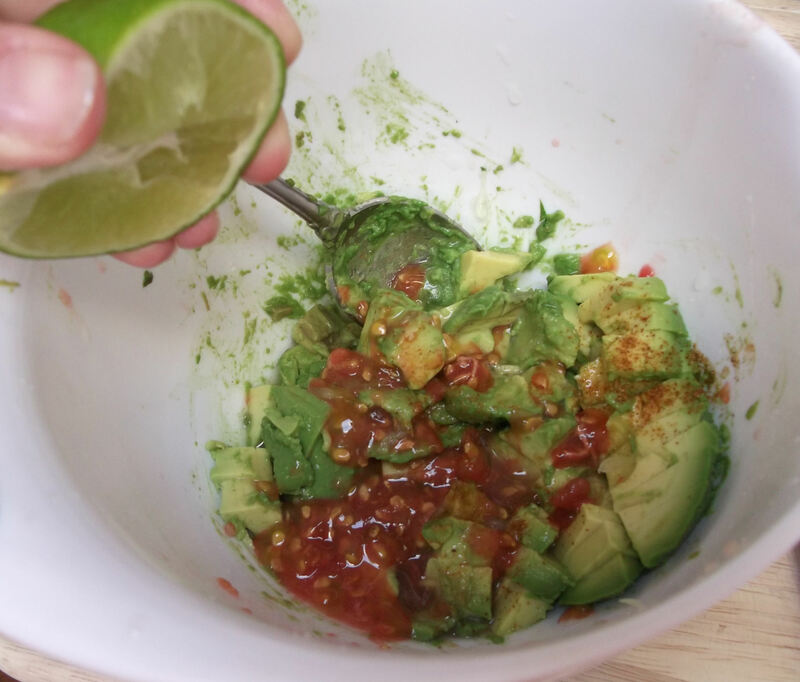 Scoop out any remaining avocado from the shells and put that in a medium bowl. 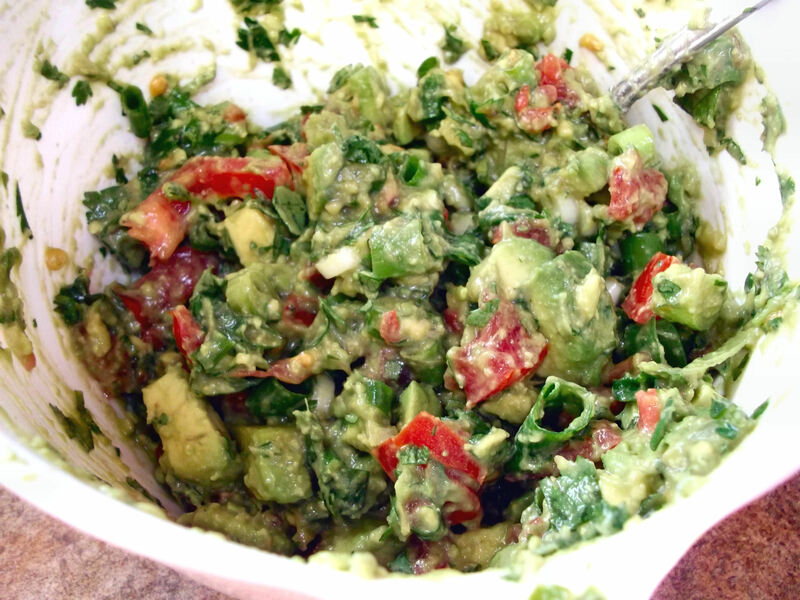 Place one of the diced avocados in the bowl and reserve the other one for later. Add the cayenne pepper. Core the tomatoes, slice them across the equator, and squeeze the juice and seeds into the bowl. Add the minced garlic and Kosher salt. Add the Worcestershire. This ingredient is the one that sets my recipe apart from others: I got the idea from the owner of a local Mexican restaurant. As with the lime, don’t overdo this ingredient. You can always add more later, but you can NOT take it out once it’s in there. Now that all the most flavorful ingredients are in the bowl, mash them with a fork or a potato masher until very smooth and creamy. Stir in the sour cream or Greek yogurt, if using, and blend it all really well. Mince the jalapeno(s). To avoid getting too much of the “heat” on your fingers (especially if handling contact lenses later – ouch! 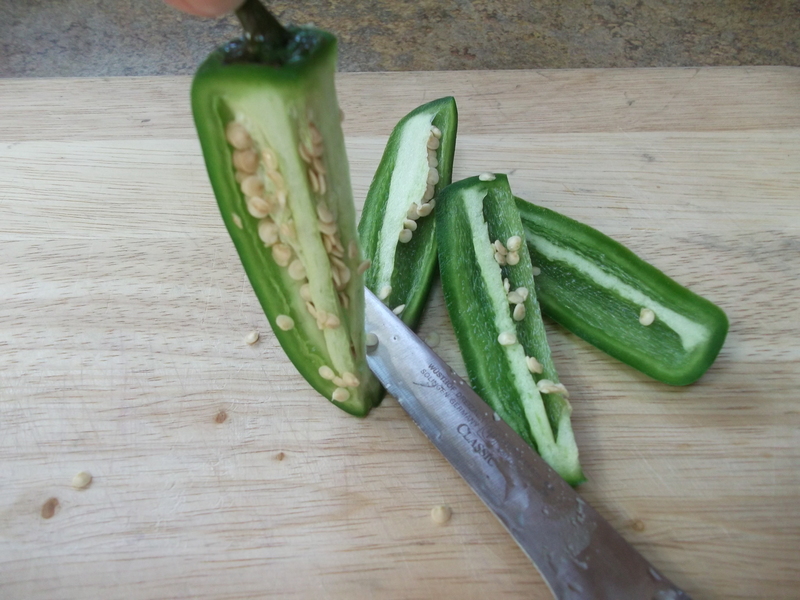 ), hold the pepper upright from the stem, and slice the pepper down off the stem, leaving the pod and the seeds attached. And/or wear gloves for this step. 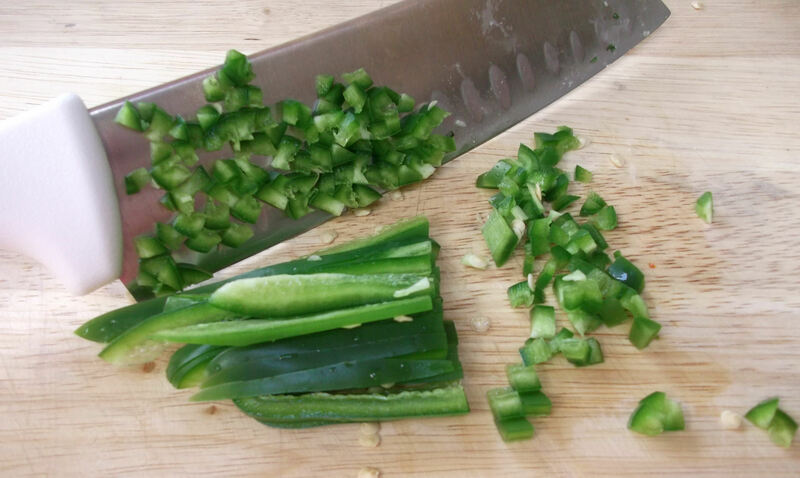 Slice the pepper into thin strips, cutting across the strips to mince. NOTE: Contrary to popular belief, the seeds are NOT where the heat of the pepper comes from: the hotness actually comes from the ribs inside the pepper. The seeds pick up some of that heat simply from coming in contact with the ribs, but are not inherently hot themselves. So don’t be afraid to leave a few seeds attached when you mince the pepper, but don’t expect them to add much extra heat either. 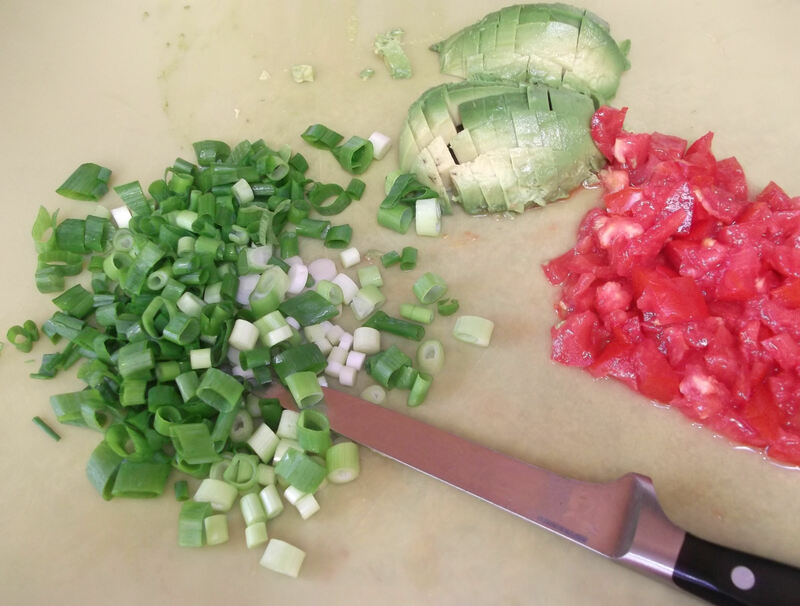 Chop the green onions and tomatoes as big or small as you like them. Anything goes. 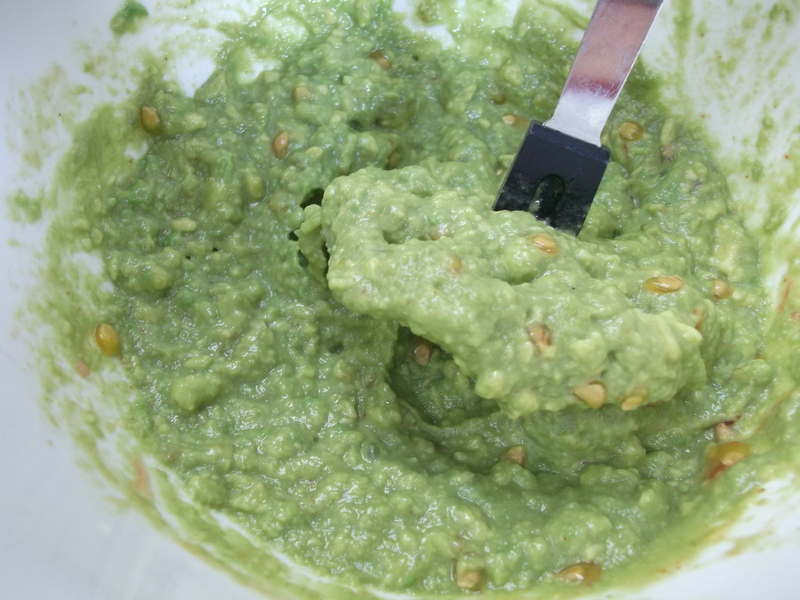 It’s your guacamole. 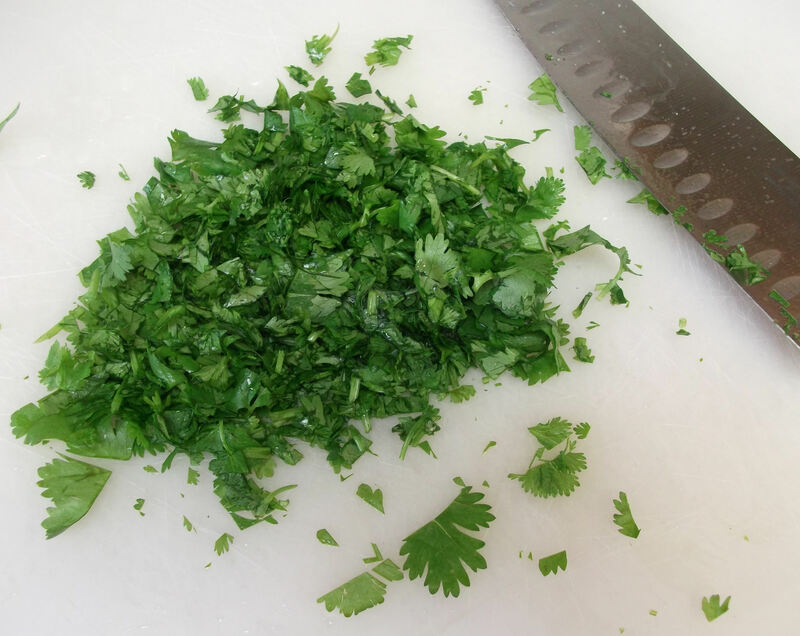 Chop the cilantro, including some of the smaller stems. The larger stems, while still packed with flavor, can get a little tough. 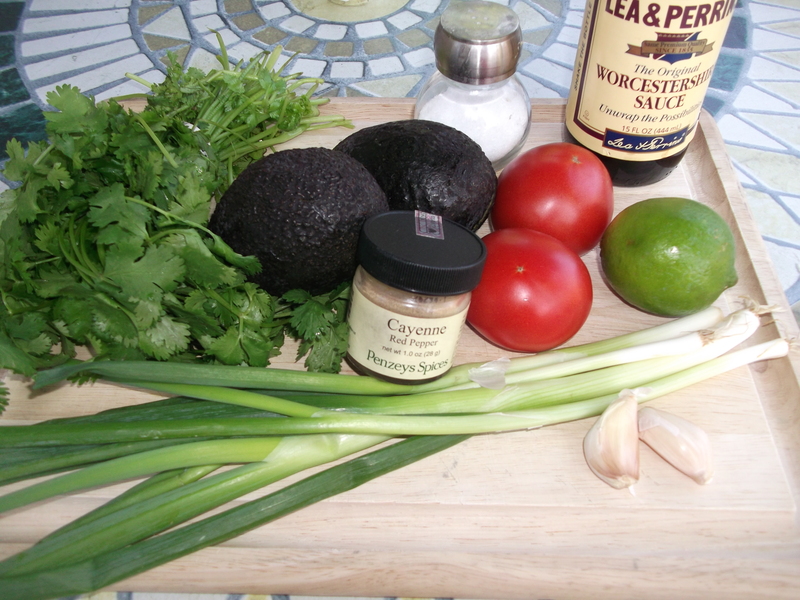 Add all these chopped ingredients, along with the reserved avocado, to the bowl. Tip: these slide very easily off a flexible cutting mat. And if you use a clear one, it looks like they are falling from the sky. No, it doesn’t take much to impress me. 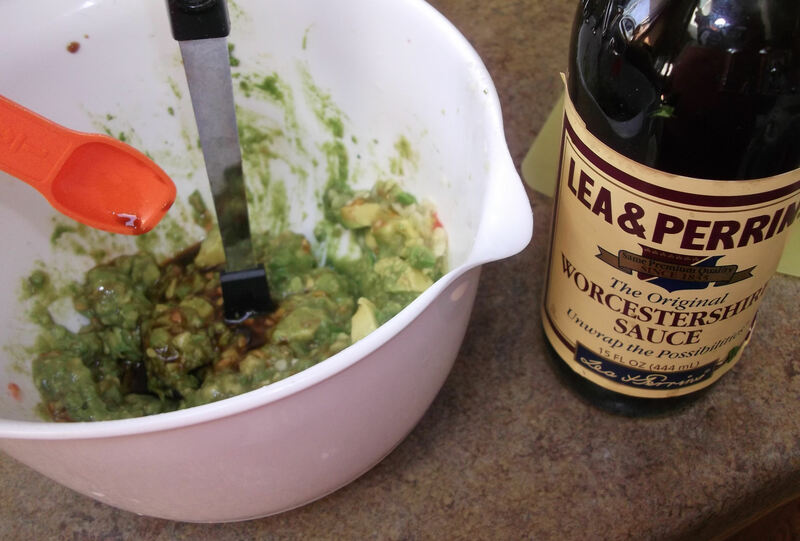 Gently stir to combine, being careful not to “mash” the avocados too aggressively. Adding them at the very end like this preserves their texture. Of course, if you prefer a creamier texture, then mash away. 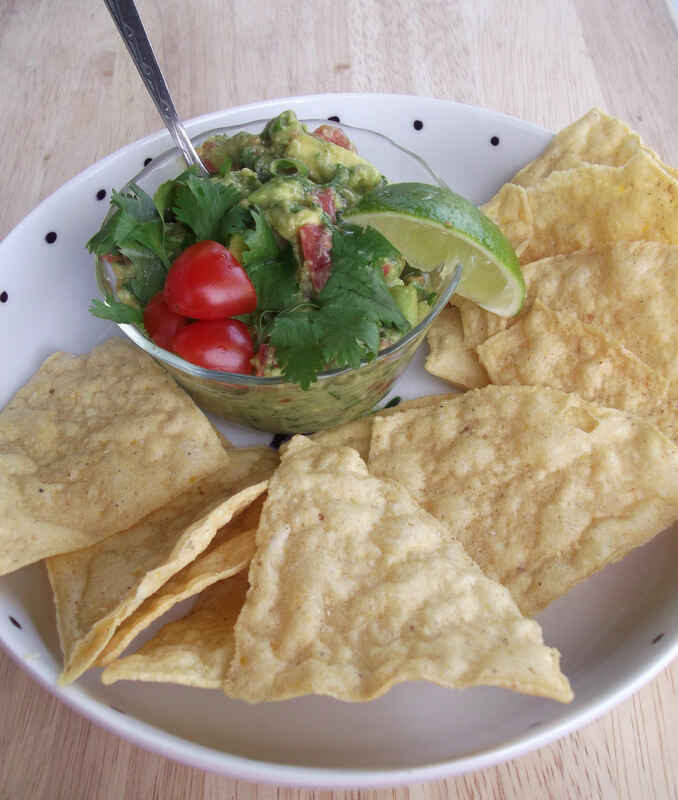 Taste the guacamole and adjust salt and other seasonings as needed. Enjoy!